A few have been better than others, but one of my most memorable was the time I went on CTV to talk about a Ke$ha concert that was too outrageous for some people who brought their 7 year old children to and they wanted a refund...I know, so ridiculous! As you can see from the screen shots - the studio was unavailable and I did this from my living room. Fun fact: I did this interview using Facetime and my iPhone was duct tapped to a book shelf. TV is so glamorous. Last Friday night Ke$ha performed a show in Windsor, Ontario. 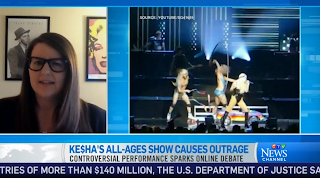 Not surprisingly, it was lewd, disgusting and very...Ke$ha. 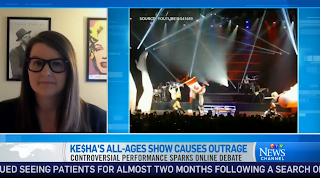 Surprisingly, people took their young children to the show and then complained when Ke$ha was...Ke$ha. 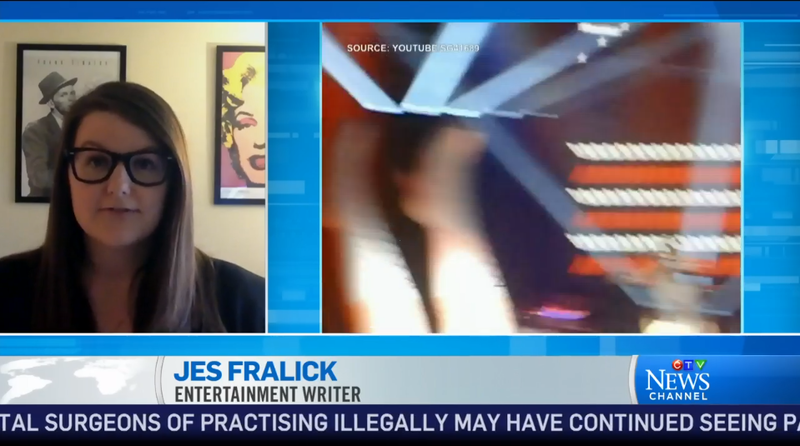 The complaining audience members were all of a sudden a story and I got a call to appear on CTV and discuss if shows should have disclaimers, not be all ages and if the artist or venue should be held responsible for offensive shows. Holy moly people, giant eye roll. 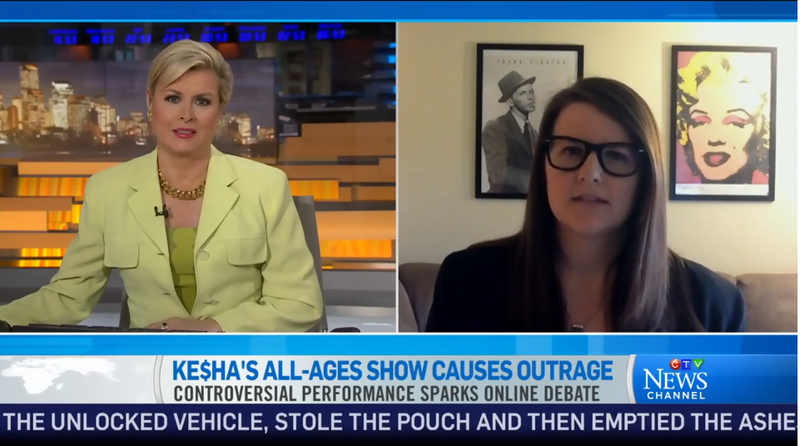 Well, I watched the tape back and it looks like I only rolled my eyes once, which is pretty much a record for me. Here is a screen shot recap of what happened (and by that I mean, what happened in my head - click here to watch the actual segment). 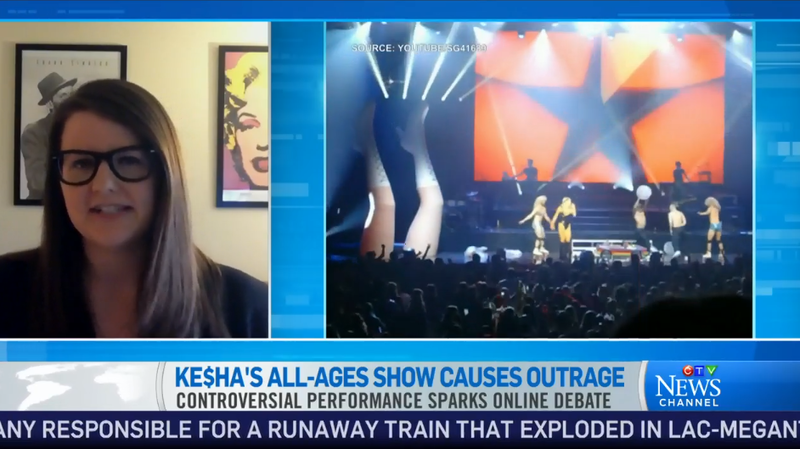 Jennifer: "We're gonna talk about concerts having age restrictions because some parents took their children to a Ke$ha show and were mad." Me: "Is this real life? Where am I?" "So...all of a sudden 'all ages' means Barney and Friends? Are people in Windsor drinking paint thinner?" "I'm sure this would have been avoided had the parents utilized the power of Google. Parent: Should I take my 10 year old to a Ke$ha concert. Google: No." "I don't want to tell you how to parent your children..."
"...but Ke$ha is a sketch bag! She has a DOLLAR SIGN in her name, come ON people." 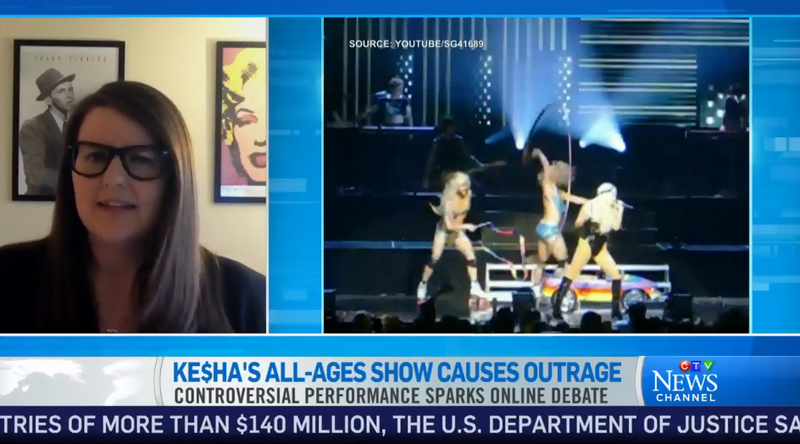 "I don't even know who Ke$ha is and even I know that's a warning sign."